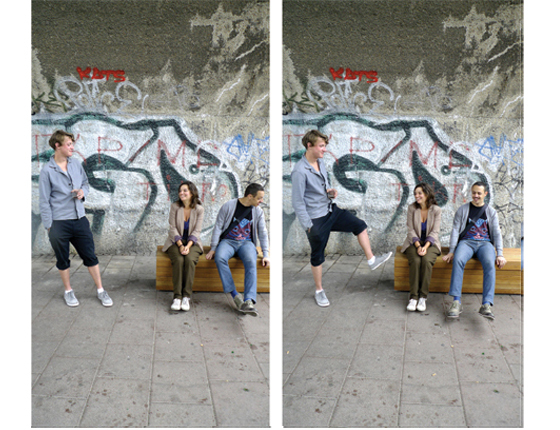 Bench Cafe Baghdad met with great interest of the authorities of the city of Stuttgart. Designed and executed within 72 hours by an international team of designers and architects, turns out to be extremely accurate solution for the city. Bench might become a permanent public spot in Stuttgart. 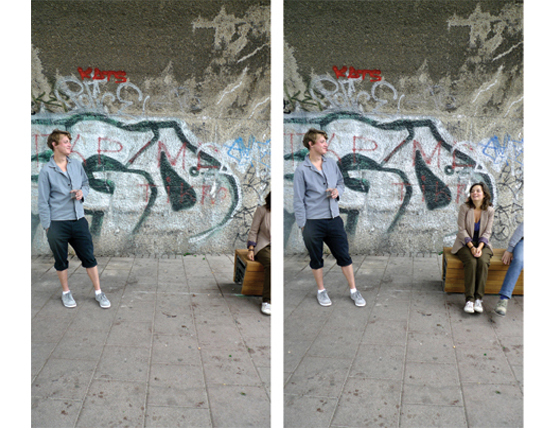 During 72 hour Urban Action in Stuttgart (www.72hoururbanaction.com) our Dirty Dozen multinational and multidisciplinary team got mission to design a creative waiting space with budget of 1900 EUR and only 72 hours of design and execution. 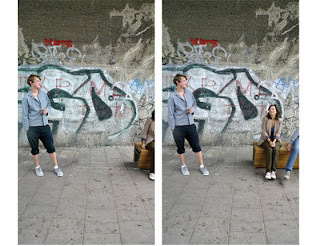 The assigned site , is a bus stop in Rosenstein district of Stuttgart under the railway bridge . It serves two bus lines: one during the day, at 15 minute intervals and the other during the night at 45 minute intervals. Being on the site and speaking with members of the local community, we noticed that most people wait inside the buses, because the sidewalk area does not offer any interesting waiting space. Entering the space below the bridge, we felt as if we had entered a cathedral. The acoustics, created by the arc, make striking sound effects, that we wanted to preserve and emphasise through our project. 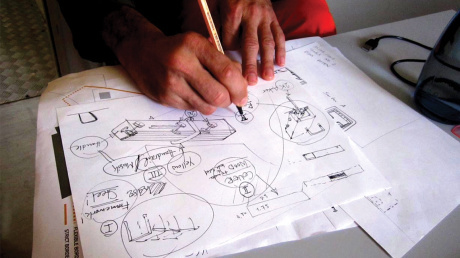 We believe that the creative process starts within one’s mind, and that one just needs a trigger to be inspired. Thus, we decided to design an object that will inspire, and complement the beauty and acoustic quality of the exisiting space. Inspired by the theme of the Cafe Bagdhad movie, which suggests that one person can influence a whole community, we designed a bench that slides across the seam between the bridge and the sidewalk. 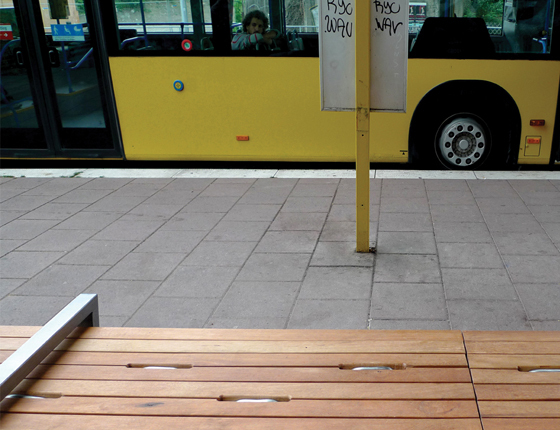 As it moves, it releases a series of surprising sounds, which will trigger interactions between the people in the waiting area, as well as with passing pedestrians and passengers on arriving buses. 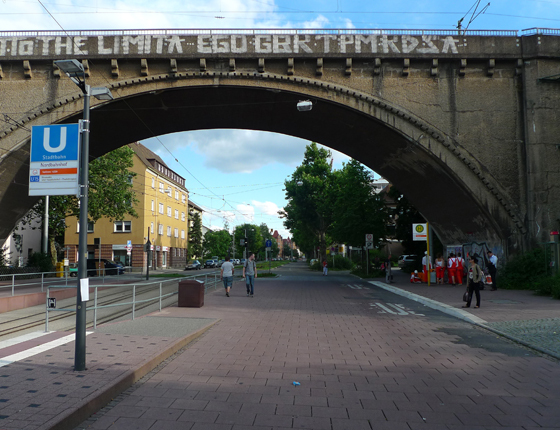 It invites everyone to explore the sounds created by the architecture of the bridge and become inspired. 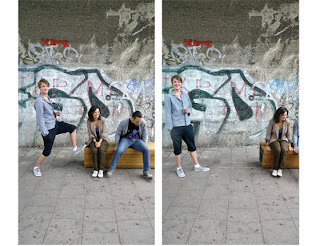 The default position of the bench is half-way under the bridge, and half exposed to the open sky. 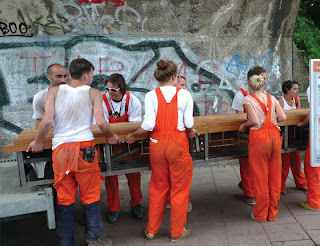 As one moves the bench, the built-in tubes create sounds which are amplified and altered by the echo under the bridge. 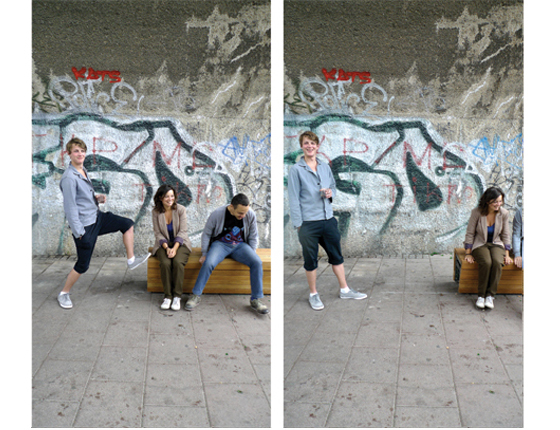 The bench can be moved in two directions: towards the bridge or towards the outside. It creates the indoor-outdoor experience that cafes offer. 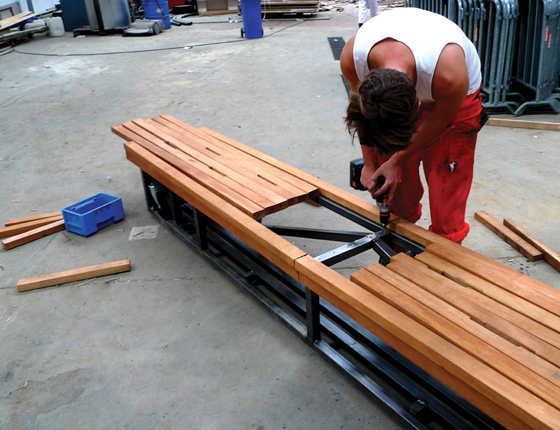 An inner mechanism limits the movement of the bench, so that there’s always at least one seat left on either side. 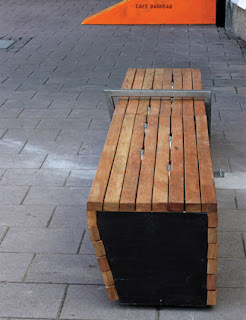 We decided to use the wood planks to keep the iconic look of the city benches. 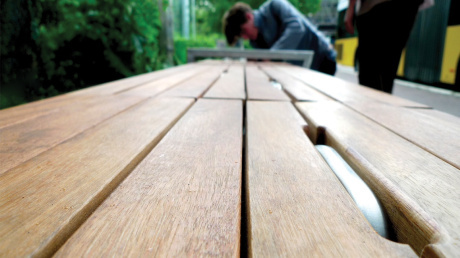 Seating is made of exotic wood that is suitable for the outdoors. 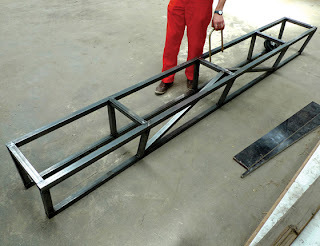 The steel handrail in the mid, emphasizes the division between in and out. The area below the bench marks the limits of the motion and suggests, that something can happen there. Our aim was to create a specific intervention in the space that would emphasize the natural potential of the space under the bridge, complementing the arc rather then competing with it. 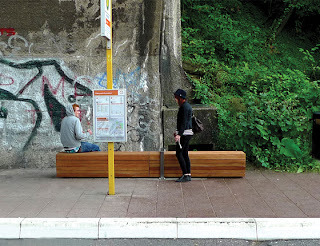 The bench serves as a timeout for the people waiting for the bus – not only a seating area, but a musicial instrument. It aims to inspire people, and to make them smile.